Well, after my big day at the hospital, I went back to my mum and dad's place for the rest of Xmas Eve. I really can not remember what happened for the rest of the day there. I suppose I had something to eat at some point, but otherwise my mind is blank. That night, still there, I sat down to watch Carols by Candlelight on TV. My teenage brothers have grown out of it, but I still love singing along and being silly. Of course, I didn't anticipate crying like a silly person. It started off with everyone in the house cracking up laughing - Dad was playing with an app on his new iPhone that repeats everything you say. He and my youngest brother were in the kitchen laughing at that, while Mum and I were in the lounge room trying to watch the carols but laughing at how funny Dad's laugh is when he's really amused. Then "Silent Night" started playing on the TV... and I lost it. Last year while I was watching, Ianto kicked me really hard during that song, just as I wished him a Merry Xmas. It all hit me at once, and the tears started flowing. At some point Dad came in, still laughing, until Mum pointed out that I was crying and could he please be quiet because we were watching TV. He sat next to me and just hugged me tightly until I stopped crying, started cracking silly jokes again (it helped that Cookie was belting my insides in what seemed to be an attempt to cheer me up), and was singing along to the next song. Once Scott got home from work, he joined us and we all decided to open our Secret Santa presents. I'm not bragging or anything, but what I bought for my recipient (my youngest brother) was the best gift given. Sunglasses and a nice watch/pen set. I got a "foot warmer" set from my oldest brother - some ugg boots with foot lotion, spray, and gel. I think he might think my feet stink. Once the Secret Santa presents were open, we couldn't help it. We had to open the rest. We've never done that before, opened our presents on Xmas Eve, so we all waited until midnight to rip into them. I got some books, a nice necklace, and the "traditional" stocking full of Cadbury chocolates. Well, that wasn't all, there was more, but they were the main things. After all the excitement of the day, Scott and I finally went home. He'd managed to get himself as a Secret Santa, so he had some DVDs he'd been holding off watching. We put one on, and fell asleep. When we woke up, we went back to Mum and Dad's for what we thought was meant to be a family breakfast. Turned out they were leaving to go to their holiday house (um... caravan.) earlier than I thought, and they were finishing off packing. I still held hope breakfast was coming, but they ended up leaving without that happening. I cried again, having had every plan I'd made broken by something or another. Then I perked up and made Scott some French Toast. For a first-time effort, it was quite good. After lazing around a little more, we headed off to Scott's dad's place. Ugh. If it wasn't for the fact I didn't want to be horribly lonely on Xmas, we wouldn't have even thought of going. I'm not exactly a fan of his dad, or his stepmum, or his nan... Or any of their respective dogs. All of whom were there. Yuck. Suffered through that for about an hour and a half, choking down some very dry chicken, then we left to go to my Pa's place. Oh god that sounds weird. Pa's place. It should be Nan and Pa's place. But no, Nan's gone now. Oh boy were there tears flowing there. He's hard of hearing, so he was practically bellowing everything he wanted to say. Plus he's fond of repeating himself, so I heard the same thing a few times - how Nan was "always the boss" and how this'll be his first Xmas without him in 65 years. When we first got there, I started making myself a cup of tea, but I had to stop when I realised I'd be using Nan's teabags. It wouldn't have bothered me before (it's not like she was protective of them) but it felt weird knowing that once those teabags are gone, that's it. No more teabags that Nan put in that container herself. Once it was getting too upsetting for me, we headed home. Shortly after leaving Pa's, we very almost ended up in an accident. Completely the other driver's fault - a taxi driver, of course. He tried changing lanes into ours, completely ignoring the fact the front of our car was level with his window. Scott blasted the horn a few times until the idiot got the message that we were there (and it's not like he didn't know anyway, his window was open right next to our loud clunky car!) and got back in his own lane. A few seconds later, he did it again! This time, Scott just leaned on the horn continually until he backed off again. He ended up speeding up and merging into our lane ahead of us, leaning out his window with his middle finger raised. 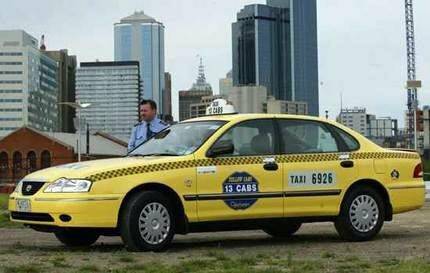 I returned the gesture as Scott handed me his mobile and told me to take down the details of the taxi. I did, and we filed a formal complaint as soon as we got home. As for the rest of the day, I'd had the idea earlier to go to the movies. We looked up session times and wasted time until we had to leave for the movie. 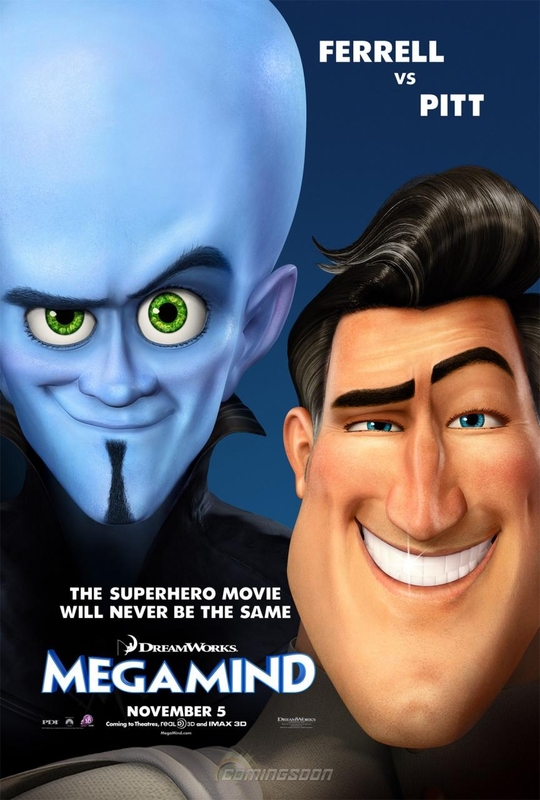 We ended up seeing Megamind, which is so fun! I was going crazy trying to pick one of the voices, which Scott was sure was George Clooney. I agreed with him until the credits... it was Brad Pitt. Ah well, at least I was right and it was a familiar person rather than a nobody I'd never heard of. All in all, while yesterday wasn't great as a Xmas Day, it was a good Saturday. Friday was more "Xmas-y" than the big day itself, which is fine by me.